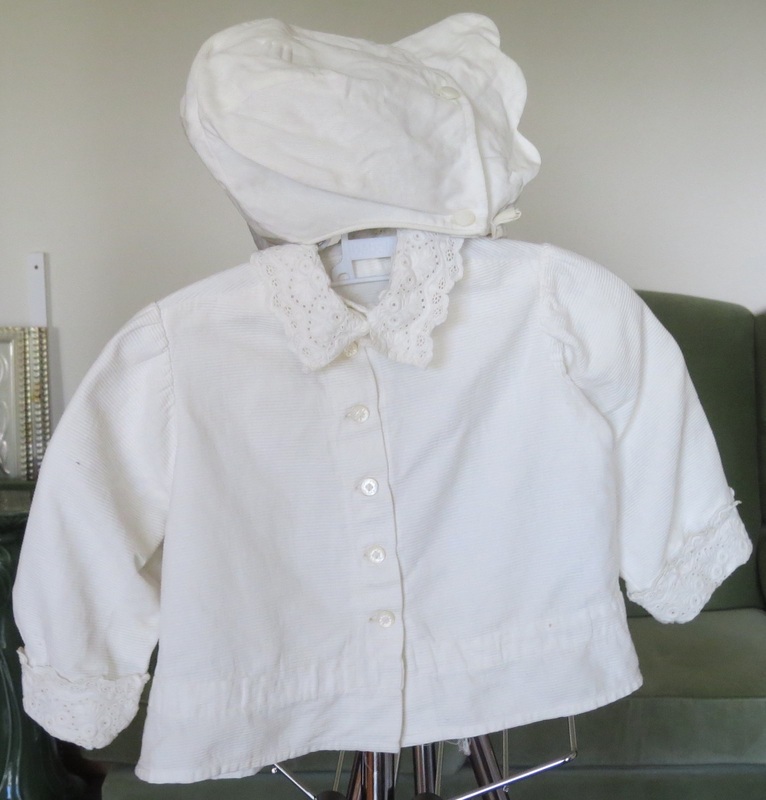 ChEC1Baby's Edwardian corduroy jacket and bonnet. Chest 54cm, length 28cm. 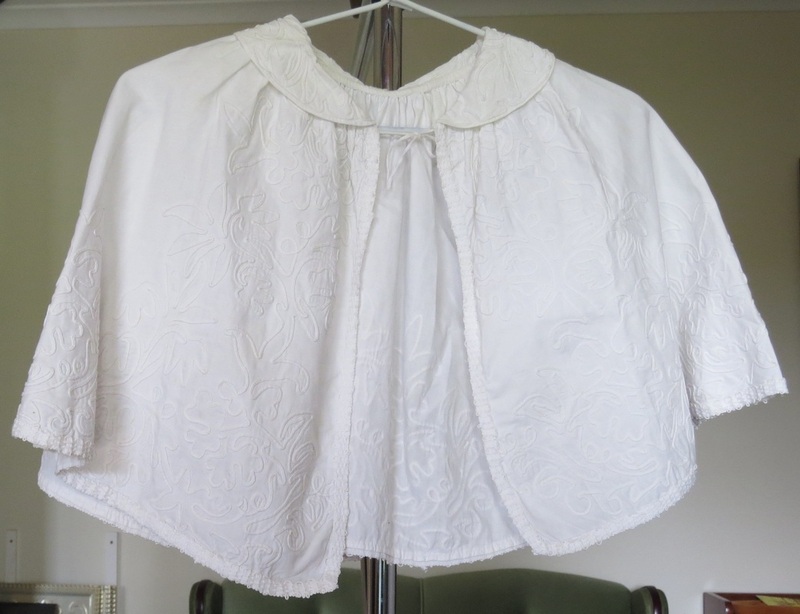 ChEC2 Edwardian cotton capelet, about 5-6 years' size. ChEC3 Edwardian Bengalese cotton capelet, about 7-8 years' size. 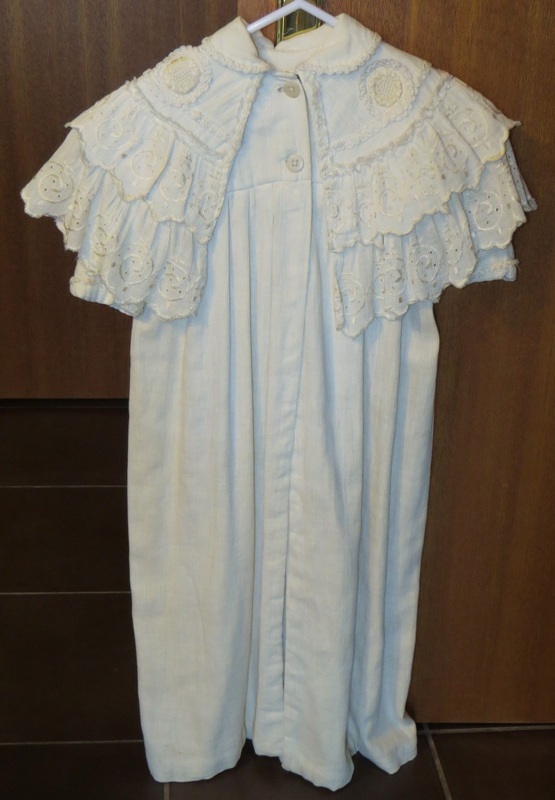 ChEC4 Unisex Edwardian christening gown. 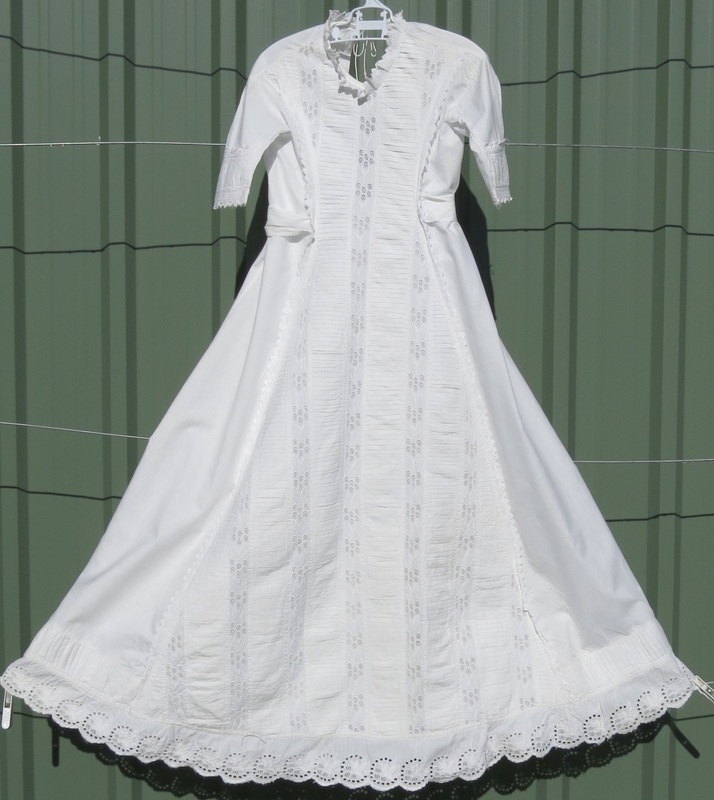 Extensive pintucking and lace on front. A few tiny holes on back. Cotton. Rental $25, purchase $80. 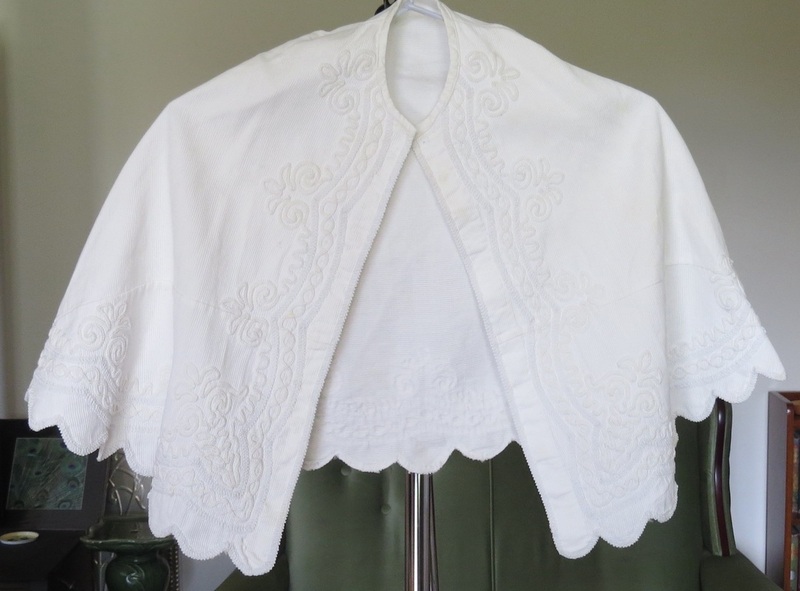 ChVcot1 Victorian christening cape. Up to 6 months. Corduroy.